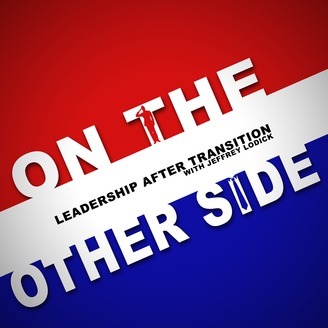 Leaders from all branches of Service exit the military for many different reasons. 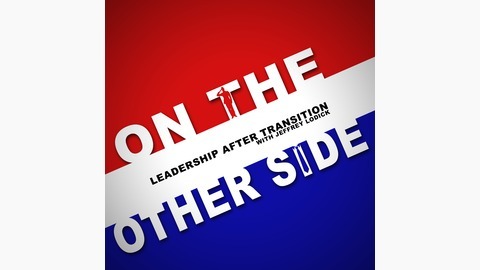 This podcast is designed to bring leaders from all Services; Army, Marines, Navy, Air Force and Coast Guard that have already made the transition to give some insight to transitioning Service Members and Service Members who have already made the transition who are struggling. Through sharing experiences, I am hopeful that my guests can give some knowledge and hope to our transitioning Veterans. I also hope to reach civilian business owners to give them some understanding of what they are getting by hiring a Veteran, from a leadership perspective. From Marine Corps Officer to Veteran Advocacy Leader at PwC, listen as Chris drops some great knowledge on us all. His words are truly invaluable and his desire to help OUR community is unmatched. Take a listen to hear what Chris is doing, On The Other Side.